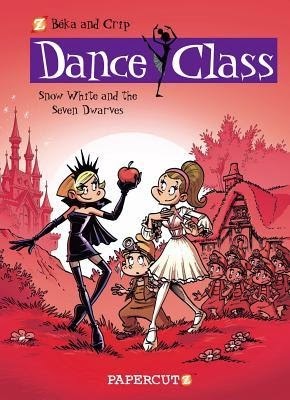 This is the latest book in the Dance Class series but only the second one I've read. However, I have to say I am already a fan! I never thought I'd like a series about girls and ballet but the combination of great writing and art has won me over. The format of these books is that the first half is the story named in the title and the second half is comprised of 1 to 3 page random humorous comic strips with a very slight common theme, here it is being the parents of two dance obsessed daughters. I loved the story which has the nasty girl and one of the nice girls switch parts in the ballet, for a change, trying to play characters against their own natures. There is plenty of romance and humour throughout. Even having only read two books, I'm getting to know the characters and their personalities. Alia is the boy crazy one to the annoyance of the others, even though it's the others who always seem to have boyfriends. Also Alia and her brother, who is a hip-hop dancer, get along well and seem to be close. Very enjoyable book and there is always a boy or two in the class, so I wouldn't hesitate to give the books to any boy who may be interested.